It is of the utmost importance that the products you purchase from Solex Catsmo arrive in their freshest state, particularly when it comes to perishables such as smoked salmon, caviar, wild game, and seafood. For this reason, we pack all of our perishables for worst case scenarios even in the best of travel conditions. The boxes are strong to withstand the bumps and thumps of the journey, the cooler inserts maintain cold temperatures, and the ice packs ensure that your perishables will arrive in optimal condition. All of our perishable items are shipped overnight express via Fedex or UPS (depending on the delivery area) for a flat rate of $30 regardless of the size of the order. So, feel free to fill that box! When you order products from SOLEX CATSMO you can be assured we will pack and ship your items with care. We ship Monday through Thursday. 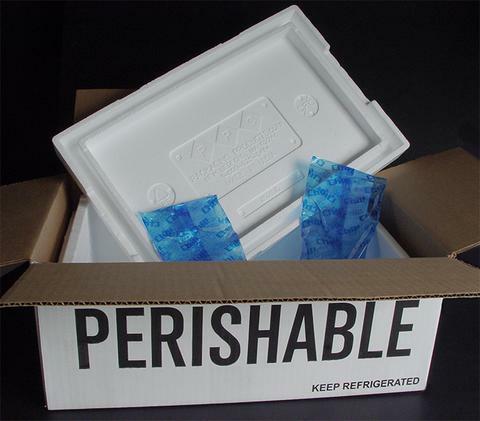 Our perishables are always shipped next-day service in an insulated cooler box. Depending on where you live, we use Federal Express or UPS to deliver your products so that they are fresh right to your door. Please check the information below to review our shipping policies. Please note, perishables such as smoked salmon, smoked seafood, and caviar are shipped from our smokehouse facility in Wallkill, NY, and most non-perishables ship from our warehouse in Bergen County, NJ. We strive to ship orders the same day they are placed if the orders are placed by 3 PM (Eastern), but in some instances, such as heavy holiday season, orders may require two business days to ship. We do not ship outside the continental United States. For customers in Hawaii and Alaska please place your orders by phone to arrange special shipping options (845) 895-2296. Please note that all perishable items can ONLY be shipped next business day to ensure your product arrives in superb condition. Orders containing perishables placed by 3 PM (Eastern) Monday through Thursday ship that night. Orders containing perishables placed after 3 PM (Eastern) on Thursdays will ship on Monday. Saturday Delivery is available in limited areas for an additional fee, please call the smokehouse at (845) 895-3361 to arrange special Saturday delivery. In-stock, non-perishable items ordered before 3 PM (Eastern) Monday through Friday are usually shipped ground the same day. Delays may occur due to weather, availability, or other circumstances. Orders placed after 3 PM (Eastern) on Friday will ship ground the following Monday. We don't ordinarily offer Saturday delivery except on a case-by-case basis. If you absolutely need something delivered on a Saturday, please call to place your order no later than 3 PM (Eastern) and we will arrange special delivery at additional cost (845) 895-3361. UPS requires a signature for delivery to an apartment and someone must be present to accept the delivery with a signature unless otherwise requested. Solex Catsmo protects the security of the personal information you share with us by using sophisticated encryption and authentication tools. In addition, we urge you to keep your password in a safe place and not to share this with anyone. Also, please remember to sign off your account and close your browser window when you have finished your visit. All of your order information is confidential and encrypted so it cannot be accessed by anyone outside Solex Catsmo. We use an industry-leading technology called Secure Sockets Layer certificates (SSL) to ensure that your information and credit card numbers are safely transported online. Solex Catsmo takes great pride in its selection of fine food products. If for some reason, you are not satisfied with your non-perishable purchase, you may return it for replacement, credit, or refund. 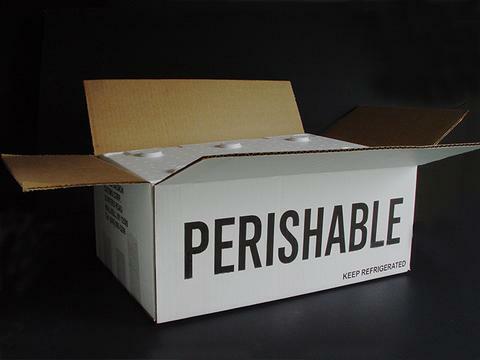 Unfortunately, we do not accept returns of perishable items. We will accept non-perishable returns within 30 days of receipt. We cannot send a replacement, credit or refund for the purchase until we have the product back in inventory. If the product does not arrive in good condition to return to stock, then we will not be able to send a replacement, credit or refund for the purchase. Wrap the package well, include the information from the packing list/invoice enclosed in your order and ship it to us at the address below. Remember to insure it for full value. Although we are usually able to ship your order on the same day, occasionally, demand will deplete our stock of a particular product. If this is the case, the item will be placed on Out of Stock. If you would like to be notified when an item returns to stock just let us know via email and we will notify you back via email. Orders may be canceled with advance notice. If you wish to cancel a recently placed order, we will do everything possible to honor your request; however, if the order has begun its journey through the shipping process, it cannot be canceled or revised. If your order has already entered the shipping process, we will gladly accept your return of any non-perishable items. Please note that prices on www.solexcatsmo.com are subject to change without notice.